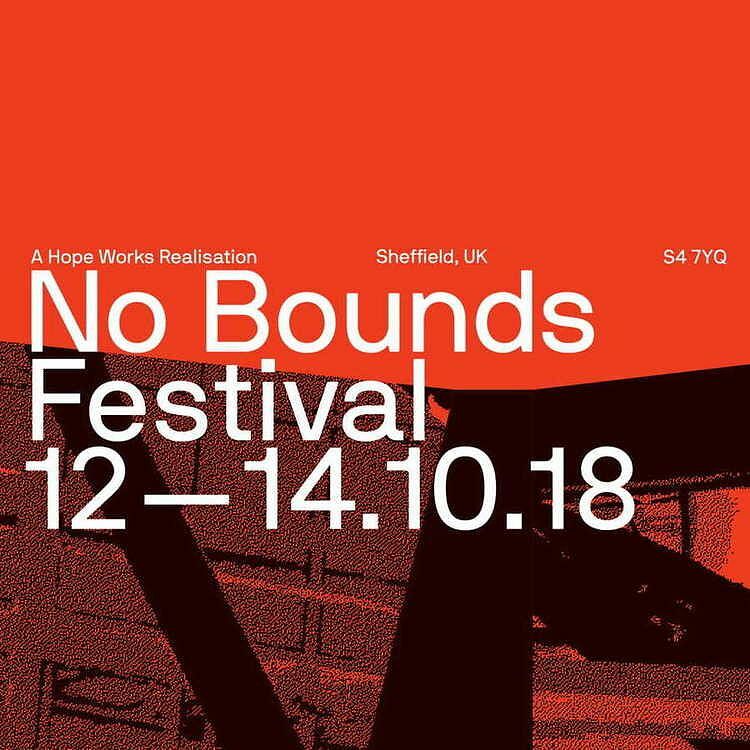 As the city-wide festival returns to Sheffield from 12-14 October, we thought we’d give you the low-down on what to expect from No Bounds: the art, music and technology festival kicking off on Friday with a 12-hour gig. Showcasing a broad spectrum of artists and performers from all sorts of genres for a weekend of live music, DJ sets, talks and workshops, No Bounds is back, and it’s ready to rave. Firstly, it’s got a fresh new line-up of performers including Dillinja, Klein, Adrian Sherwood, Nyege Nyege featuring Sounds of Sisso and Kampire, Rob Gordon, Winston Hazel, Theo Burt, Kerrie, Broken FM, Sheffield Techno Institute and Linnemann. Secondly, its talks programme (which has been overseen by Joe Muggs from The Wire) will visit topics posing alternative approaches to music art and culture as a source of growth. Did we mention that Sheffield’s Lord Mayor Magid Magid will also be speaking? He’ll be discussing the topic of ‘hybrid Britain’, exploring the ways in which waves of immigration have made British culture richer, focussing primarily on the bass/soundsystem culture. In addition, producer and sound artist Mark Fell will be doing a Q&A session on his work ‘Out of Chaos’. He’s also co-curated Saturday’s daytime programme at Trafalgar Warehouse with FACT magazine. Ian Anderson of Sheffield-based design agency Design Republic will present a talk called ‘Join The Future’, on the ways in which the agency, which has worked closely with Aphex Twin, Autechre and Warp Records has done just that. ‘Gatekeepers’, a panel debate will be hosted by Mike Paradnis, Meemo Comma and Iseoluwa. On top of all this, there’ll also be a series of film screenings throughout the festival. Warp Records will have its very own ‘screening section’, which will feature a film by Bibio called ‘Phantom Brickworks’ and Mark Pritchard and Jonathan Zawada’s film ‘The Four Worlds’. Sheffield Doc Fest will also host a screening of Jake Meginsky’s documentary on free jazz drummer Milford Graves – ‘Full Mantis’, followed by a Q&A with the director. A weekend packed with events designed to push the boundaries of art and culture, No Bounds festival is like no other. For the full programme of events and line-ups for gigs across the weekend, head to www.noboundsfestival.co.uk. Archive screenings running across the weekend including ‘Trades & Crafts’, ‘Free For All’ and Warp video content. Female/non-binary DJ workshop delivered by Ifeoluwa. ‘Hybrid Britain’: Magid Magid will discuss opportunity, multiculturalism and music in the UK. Poetry from Rachel Bower, Ruth Odudu, EMJ Morris, Matt McAteer and Ralph Dartford. Documentary on free jazz drummer Milford Graves. Stay in the loop. Follow No Bounds on Twitter, Instagram and Facebook.